Brazil: white beaches, beautiful women, the samba… and: the Utopia Haze. These cannabis seeds have been carefully crossed and selected by Barney’s Farm from a sativa-dominant Brazilian. Buying weed seeds has become even more exciting for the real sativa fan because you should certainly not ignore this type of cannabis seeds. Brazil: white beaches, beautiful women, the samba… and: the Utopia Haze. These cannabis seeds have been carefully crossed and selected by Barney’s Farm from a sativa-dominant Brazilian. Buying weed seeds has become even more exciting for the real sativa fan because you should certainly not ignore this type of cannabis seeds. When you grow these cannabis seeds you have to keep in mind that the plant can become quite high (1.3 metres). However, the Utopia Haze does not need a lot of maintenance because the plant is highly resistant to diseases and microorganisms. 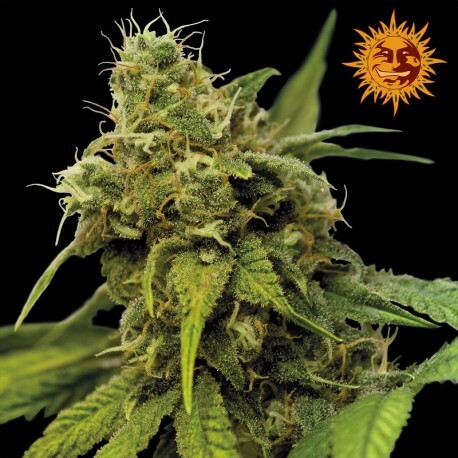 Once the buds have been harvested, the person buying these award-winning weed seeds will be able to enjoy a sativa that ensures a long-lasting high feeling while the enjoyment of the smoke only increases further due to the mint and lemon taste. The Utopia Haze cannabis seeds have been convincing the experts as of the first time they were introduced on the market!